Invisalign is a revolutionary new product that effectively straightens teeth but is virtually invisible. Invisalign makes is possible to have perfectly straight teeth, without anyone knowing you’re having treatment. 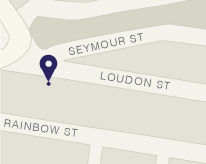 As trusted Invisalign fitters in Brisbane, Rob Duhig Dental Sandgate can fit and monitor your progress. 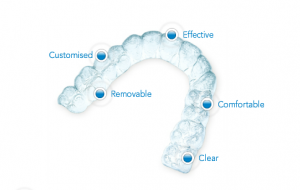 Invisalign involves a wearing a series of clear plastic aligners that are computer generated and customised for each patient. 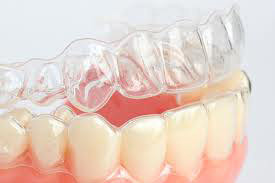 These aligners are contoured to move your teeth into their proper position over time. Each set of aligners is worn for about two weeks before you progress to the next aligners in the series. Treatment involves visiting your dentist every six weeks to check progress and get new aligners. The average treatment time is only a year. It’s like a contact lens for your teeth! Our virtual treatment plan allows you to see how straight your teeth will look when you’ve completed your treatment. The cost of Invisalign depends on the complexity of treatment and how many sets of aligners are needed. The cost is generally around the same as adult ceramic braces. Robert Duhig Dental can give you an indication of costs up front. We also offer convenient dental payment plans, so you can get started on a straighter smile right away! Your insurance may cover some of your treatments. Check with your health fund if your policy includes orthodontics cover for Invisalign treatment. Talk to the trusted Brisbane dentist about how Invisalign can help you get a straighter smile. We can also whiten your teeth at the same time for a total smile makeover! It could transform your life!